There are affiliate links within this post and I regularly make this recipe! Making vanilla is easy with just beans and vodka. I’ve always been a bit intimidated by Vanilla beans. 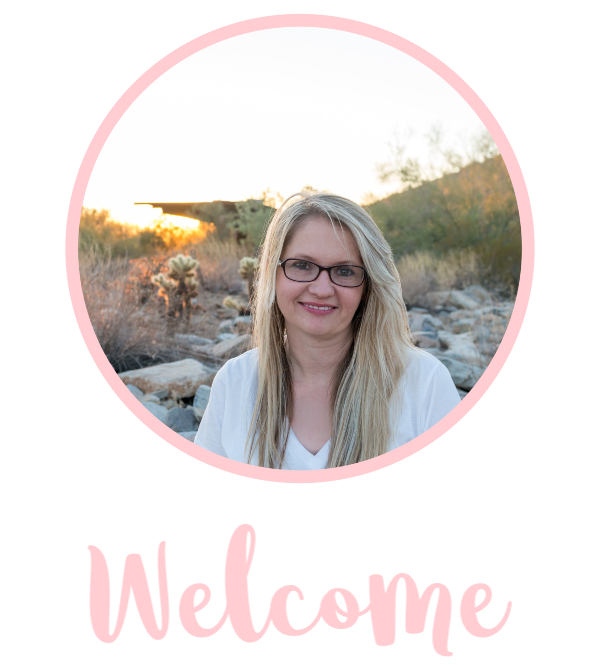 I had never thought I could really do anything with them until I was talking with Joanna at Baked By Joanna and she said how easy it was! She said vodka and vanilla beans and that is it. 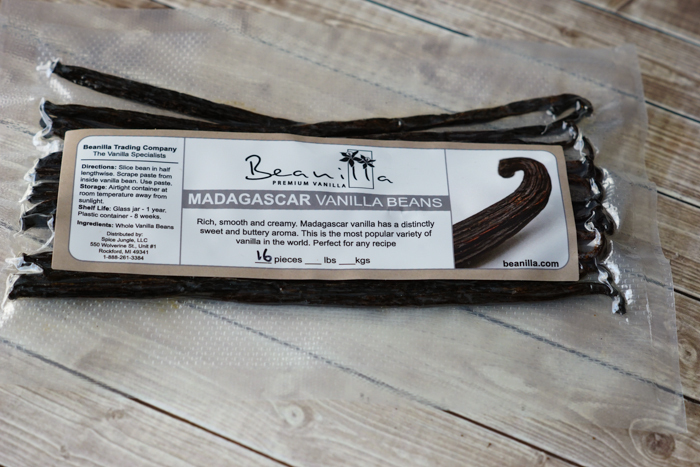 So I went on some researching adventures and was excited when Bountiful Baskets offered a basket with Vanilla beans! When I got my basket, it only had two and I knew from all my research I wanted more. So I did more research and read that Beanilla had some great reviews, so I ordered 10 Premium Bourbon Madagascar Vanilla Beans on Amazon for only $10! I did research to see if people thought one brand of Vodka was better for the process over another but there was not a favored brand. The overall recommendation is to make sure it’s 40 proof. You *could* use Rum, however, Rum adds it’s own flavor and it might taste different than a traditional extract. The rule of measuring is 1/3 cup of vodka for each bean. Try to start with at least 3 beans and 1 cup of Vodka. Just a quick note on beans, the Vanilla beans found in a regular grocery store aren’t ideal for the extract process, start with fresh softer beans. Look on Amazon (my favorite go-to for Vanilla beans) or try your specialty grocery store. Take each bean, cut lengthwise (up and down) the bean, splitting it open but leaving an inch on the bottom and an inch on the top intact. Put the beans in the mason jar, then cover with Vodka. Make sure the beans are completely soaked in the Vodka. Seal tight and store in a cool, dark place where the sun cannot hit it. Every week, shake it up at least one time for about 6-8 weeks. 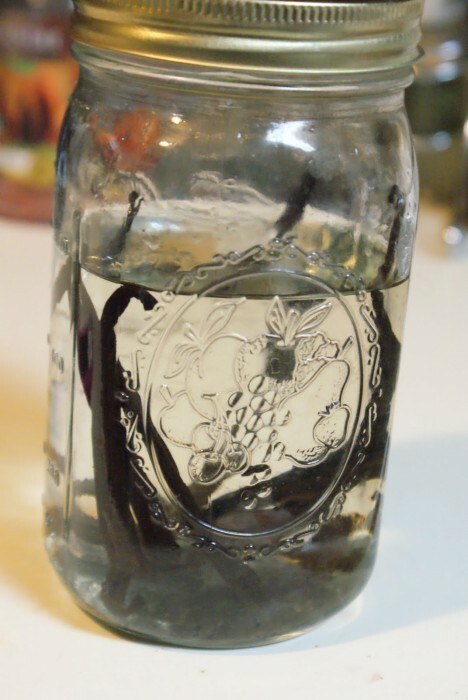 After two months, take the jar and strain the Vanilla into smaller amber colored jars (look below). Be sure to leave 20% of the original extract in the mason jar. 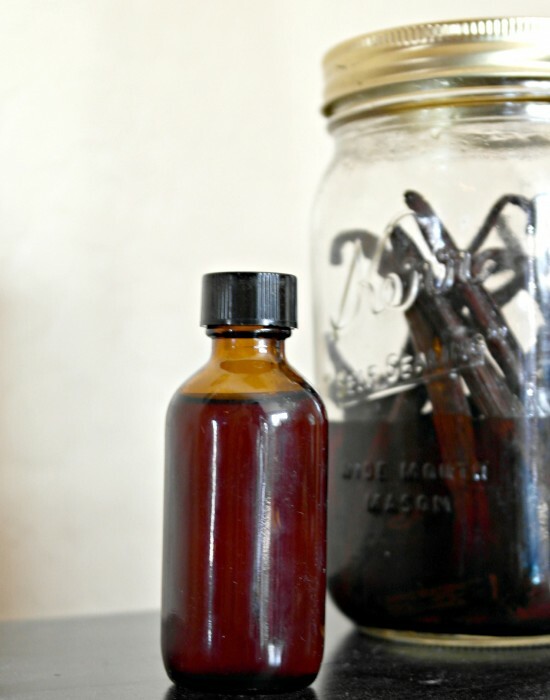 You can continue to add Vodka to those same beans for at least a few cycles and they will continue to make Vanilla extract! What I usually do is add a few fresh beans to every new batch while also using the old beans. This really is such an easy recipe, I think the hardest part is waiting until it’s finished the process! I pair it with a cookie mix in a jar, these gift sets can be great and can be around $5 a gift! Just remember, you’ll need to start this sometime in October! Can I put in my Christmas wish list now? This is SUCH a great idea. 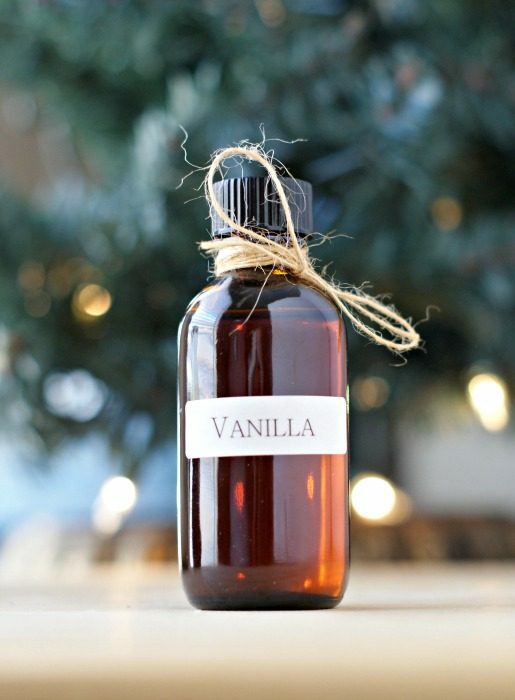 We go through a lot of vanilla and it can get expensive!